Game Boy Australia: New magical releases from little-scale! Gameboyaustralia.com is a music blog dedicated to the growth and review of the Australian chiptune scene. More info about us can be found here, in our very first post. If you (the Australasian chiptuner) have any upcoming shows or releases, contact us about them through this blog or on IRC and we will post them here for the world to see. If you are interested in finding more about the Australian chipmusic scene, follow us on twitter and facebook, check this artist list & release directory and check in with our gig partners Sound Bytes. New magical releases from little-scale! 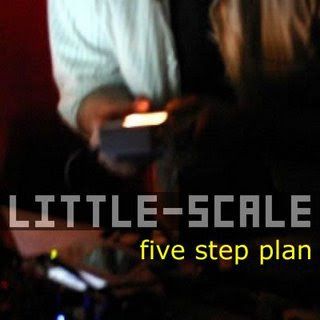 "Five Step Plan contains all of the material that I played at a show on the 17th of October in Melbourne, Australia. For the most part, this is unreleased stuff. I hope that you enjoy it." 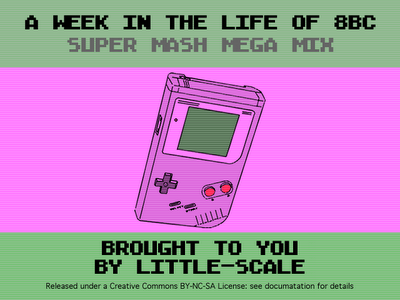 "I have made a super mash mega mix of all tracks that were uploaded to 8bc from 11 October 2008 to 17 October 2008." I think everyone who knows Seb as "little-scale" knows that he loves 8bc. This is a tribute to this fact. It mashes over 160 tracks from 8bc that were uploaded in a lucky week. Full credits and a link to the mix itself can be found here. I love this mix and I reccommend you get in onto an iPod, etc. Seb's style of remix is one that you will not have experienced on many occasions. His ability to put together sounds that most of us could only dream of getting into the same track is mind boggling. I dare say there are few others that could have handled this self assigned task. So, you want to sync your Game Boy, huh?